I am officially elevating Yuki Yoshioka from “good, young guy” status to “good, period”. Yoshioka has been killing it lately. He has benefited from the Mochizuki Dojo grouping more than anyone else. Skywalker had momentum before he joined, Hyo Watanabe has only gotten worse since then, and Kota Minoura hasn’t had enough time to prove himself. Yoshioka has taken this opportunity and made the most of it. He’s wrestling with such intensity and it has started to take him to the next level. This was supposed to be the R.E.D. team against Watanabe, Minoura, & Dragon Dia, but Dia is out with the flu. Bald Eita appears to be more motivated than what we were getting for almost all of last year. He actually looks much better with a buzzcut than he did with his watered down long hair. He dished out a majority of the damage. I found it interesting that he pinned Don Fujii and not one of the youngsters. That could mean that they’re rushing Eita back up the card, which is the last thing I want to see. He needs to hang out on the undercard until Dead or Alive. Despite taking the pinfall, Jason Lee got the most shine in this match. He’s proven in his 18 months in the company that he can hang with anyone and after this match, PAC can be added to that list. 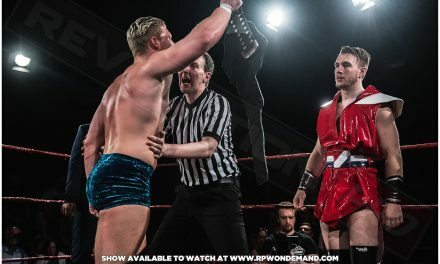 I can’t see a scenario in which PAC and Lee square off in a singles match, but I’d love to see it. Lee’s offense looks so different than anyone else’s in wrestling and that came through in this bout. Shun Skywalker continues to build up his impressive singles match resume. After delivering against Willie Mack and U-T at the tail end of 2018, Skywalker has hit the ground running in 2019 with two enjoyable sprints against Dragon Dia and Yuki Yoshioka, before delivering a certified banger here against Ishida. Skywalker came into this match knowing that Ishida is dangerous. The former has big, shiny offense that is highlighted by a superb moonsault. Ishida, on the other hand, has an offense based on kicks. He’s just as fast as Skywalker and he has the ability to knock someone out. With that in mind, Skywalker threw out some of his big moves early. Momentum was on his side early after hitting a huge Skywalk Moonsault to the floor. Ishida came back with a fury of offense, though. He had counters to Skywalker’s ground-based offense and punished him repeatedly with kicks. It looked like Ishida was going to put Skywalker away with a Tiger Suplex, he all he could muster was a 2 count. Skywalker is someone that is excellent at kicking out of moves. It’s a special talent that very few wrestlers have. I’ve said for years now that no wrestler is better at kicking out of a deep 2 count than Masato Yoshino. New Japan’s Kazuchika Okada is also brilliant at it. Skywalker milks the drama until the very last possible millisecond before getting his shoulder up. This was all about Kzy. Horiguchi and Yokosuka were non-factors for his side and KAI and Kagetora didn’t exactly light the world on fire for the opposing faction. Kzy showed up YAMATO, his former stablemate, in Korakuen Hall. The match is worth watching considering what happened in the post-match. “With the win over YAMATO, Kzy now has wins over all of the active current generation leaders. Last year, he got as far as challenging for the Dream Gate but it wasn’t enough. In the year that has past since then he has made his presence felt and he is now confident enough to challenge again. Mr. PAC. Please come to the ring right now. PAC came out. Kzy told him that wants to fight him and challenge him. He will be the next Dream Gate challenger. PAC was surprised by the guy he just knew as m.c.KZ. Does he have any idea who he is? His name is PAC and he is a very dangerous man. Challenge accepted. Kzy was looking forward to proving that he was very different from the m.c.KZ that PAC remembers. He asked GM Yagi to set the date. They played the hits in this match and it delivered accordingly. Mochizuki, who on a normal day is one of the toughest opposing forces there is in Dragon Gate, was merely trying to survive against the brute force that Shuji Kondo displayed. Mochizuki, at age 48, is still quicker than most men. He’s not quick enough to escape the clutches of Kondo or the sheer impact of his clubbing lariats. Had Mochizuki avoided a shot or two to the throat, he might have been able to come out on top. Instead, Kondo scored the fall after a jaw-dropping King Kong Lariat. Mochizuki reminded him that while he was fired from Dragon Gate 14 years ago, 6 months before that it was Kondo that fired Mochizuki from Aaganiisou! But that was a long time ago. Kondo was young. The company itself was new. There were a lot of incompatible parts. It took 14 years for it to happen, but it finally has. He thanked Kondo for finally coming home. They exchanged pleasantries for a while. Kondo brought up that next month, the secret weapon of Aaganiisou, Toru Owashi, would also be making his first appearance back in DG. Anyone that remembers Owashi from back then should prepare themselves because he is a totally different person now. Seriously. Entirely different. Kondo congratulated Mochizuki on his 25th and Dragon Gate on their 20th anniversaries. 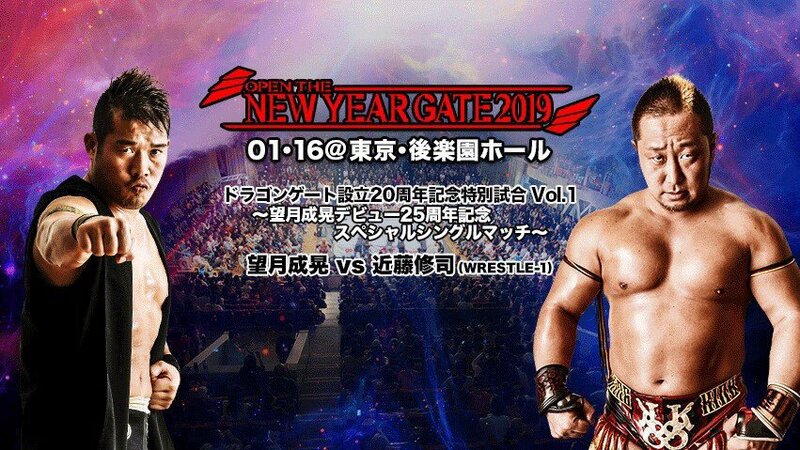 He would be satisfied if it was just a one-time homecoming for him, but if the stars align again then maybe this isn’t the last we see of Shuji Kondo in Dragon Gate. 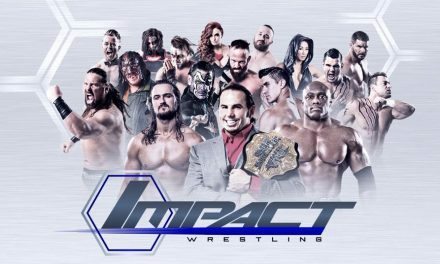 Two things mattered on this show: the Rookie Ranking tournament finals and the 20th-anniversary commemoration match. Both of those delivered, and on top of that, Dragon Gate set the wheels in motion for a handful of exciting matches next month. The in-ring on this show was great, but the booking, even with PAC vs. Kzy arguably feeling rushed, was a slam dunk. I have to call both Yoshioka vs. U-T and Skywalker vs. Ishida essential viewing. For the spectacle that it was, the main event between Mochizuki and Kondo is also well worth your time. This was a dynamic show that highlighted a lot of Dragon Gate’s strengths. Thumbs up for Open the New Year Gate.